The main question that still remains is that of the strange opus numbering. Popper first wrote the ten "grand" etudes, obviously as a preparation to op 73. Then he added the 15 easy etudes and instead of giving them a separate opus number they were called "op 76 I". For a reprint, I am very tempted to just change that to "op 76/1" for the easy ones and "op 76/2" for the "grand" ones. Popper's life has to my knowledge still not been subject to a thoroughly researched biography which means that for most facts and figures we rely on Stephen De'ak's endearing and enlightening, but totally piecemeal and thus from a scientific point of view useless biography. If one were also to properly catalogue Popper's works, the relatively small question of opus numbers could probably be rectified without great difficulties and even his transcriptions and things like the piece that was published as Haydn Concerto Hob VIIb:5 but is in fact a Popper concerto would maybe get the place in the cello repertoire that they deserve. 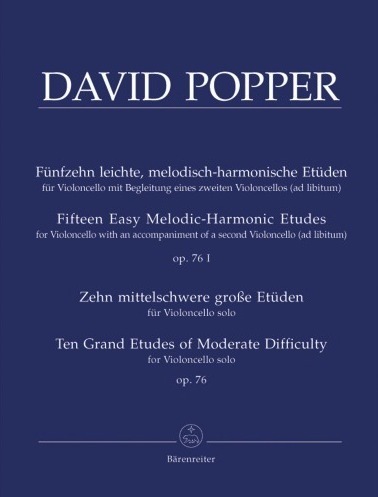 The "easy" etudes are not that easy in fact, but they are probably the ones that show Popper's musical talent most of all etudes. They are charming little pieces and also perfect concert repertoire for young cellists, especially also as first steps into making chamber music. 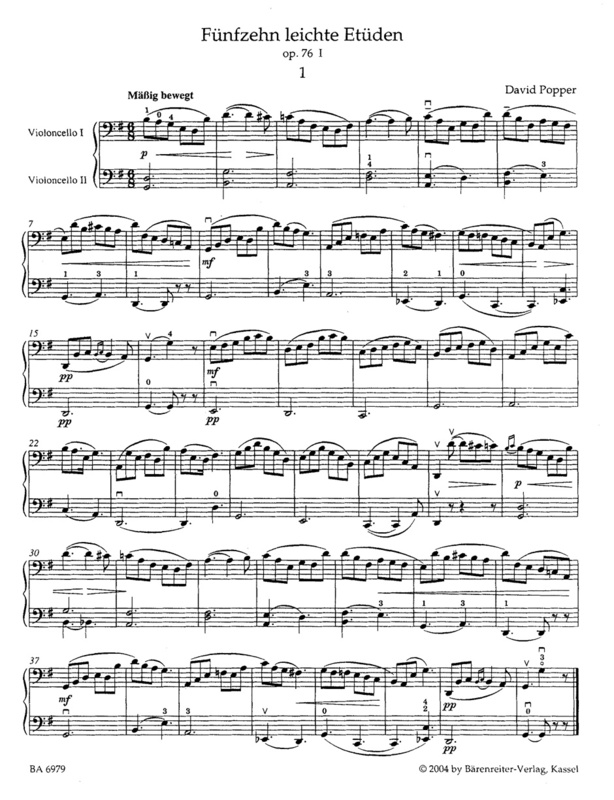 Some of the medium etudes are in my view not really easier than the op 73 studies (look at No 5, 8 or 9 and you know what I mean), but naturally they are a perfect preparation for op 73.